CroisiEurope was founded in 1976 and currently offers cruises along every waterway in Europe. Photo courtesy of CroisiEurope. Founded by Gérard Schmitter in 1976, CroisiEurope River Cruises is still a family run business, responsible for the construction, ownership and day-to-day operations of an entire fleet of river cruise vessels that are capable of carrying between 100 and 200 passengers. Currently in the midst of an ambitious newbuild program, CroisiEurope will have a fleet of 46 river cruise vessels by the end of 2016. This also includes several “hybrid” river cruise vessels capable of transiting the Mediterranean on unique river and ocean itineraries. CroisiEurope offers sailings on all of Europe’s most popular rivers, and has nearly four decades of experience in offering river cruises. This allows CroisiEurope to concentrate on providing its passengers with exceptional food, excellent service and creative itineraries that are designed to appeal to both experienced and novice river cruisers alike. 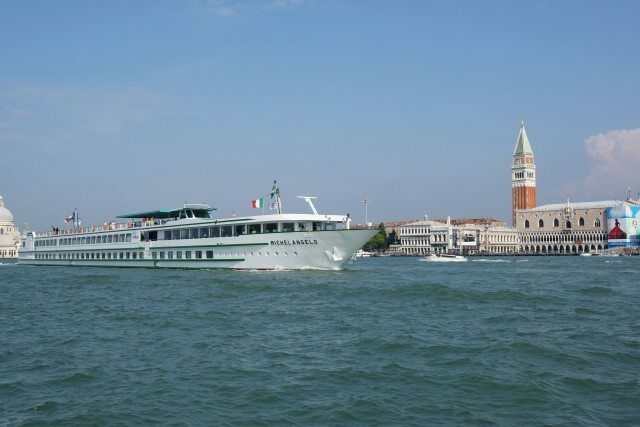 CroisiEurope’s Le Michelangelo passing the famous Doge’s Palace in Venice, Italy. Photo courtesy of CroisiEurope. All told, CroisiEurope offers more than 500 departures on more than 30 rivers and canals, spanning more than 100 diverse itineraries. 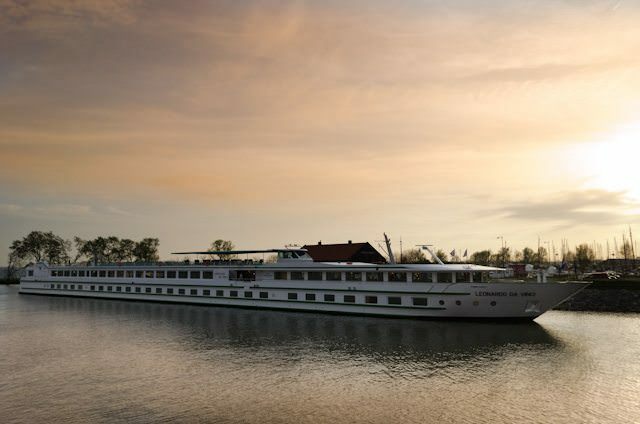 Recently, the company also expanded its river cruise offerings to include scenic journeys through the legendary canals of France. A leader in the European river cruising market for decades, the line has recently started offering its product to the North American market, focusing on its competitive and affordable pricing as well as its reputation for service and quality. 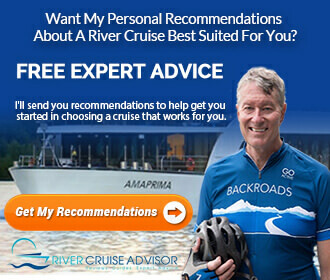 CroisiEurope believes a great river cruise should be a personable river cruise, and the company has been building up a steady clientele of satisfied customers during their long and storied history. 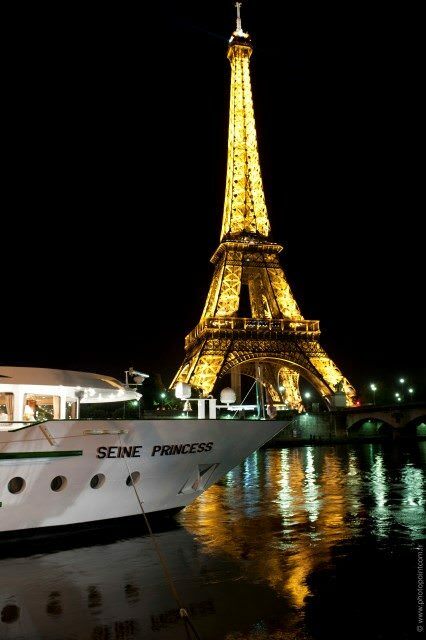 Seine Princess docked in Paris, within view of the Eiffel Tower. Photo courtesy of CroisiEurope. In 2013, CroisiEurope introduced Jeanine to the Canals of France. Completely rebuilt from the ground up, she is the canal boat for those who have always avoided a traditional barging experience, with capacity for 24 guests and modern, stylish public rooms and amenities. She has proven to be so successful that another three sister-ships are currently under construction. 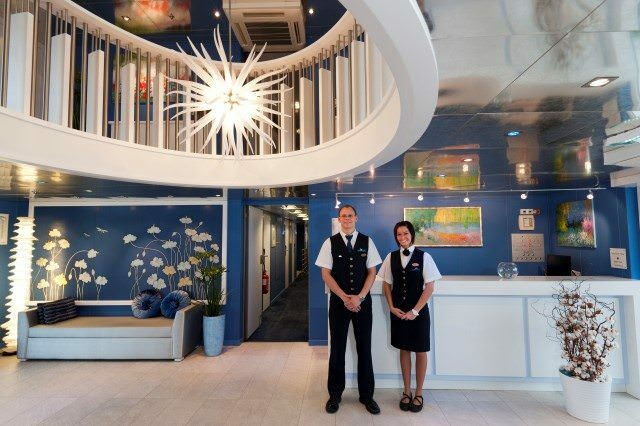 Smart design and genuine service characterizes the onboard experience with CroisiEurope. Photo courtesy of CroisiEurope. In 2014, the line introduced three new barges to the canals of Europe, and is set to construct a fourth vessel to ply Portugal’s famed Douro River in 2015. The line’s newest European vessels feature stem-to-stern complimentary Wi-Fi internet access and Samsung Galaxy tablets for guests to use. The rest of the fleet offers complimentary wi-fi access in the ship’s Reception and Lounge areas. Inclusions on CroisiEurope include complimentary beer and wine served with lunch and dinner, and an open bar throughout each voyage. The only items that aren’t inclusive are Champagne, wines on the wine list, and fine brandies. The line also includes all onboard entertainment and port taxes. 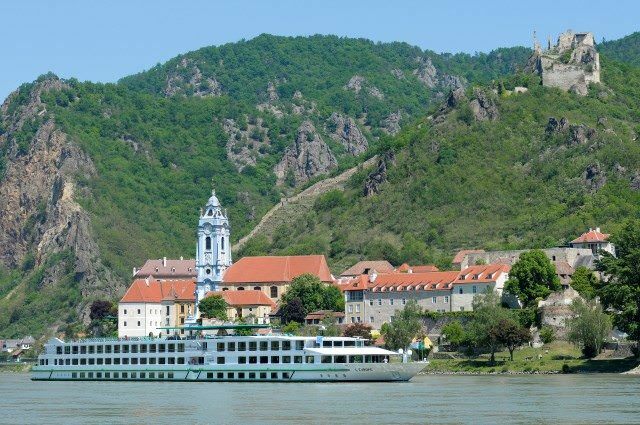 CroisiEurope is the only river cruise company to feature vessels on every single river in Europe. These include the ones you’ve likely heard of before, such as Rhine, Main, and the famous Blue Danube. But have you sailed down the Neckar, Guadina, or the Gironde? CroisiEurope offers voyages on all of them. CroisiEurope is also one of the few cruise lines to offer voyages along Italy’s Po River, sailing from the breathtaking city of Venice. You can also elect to take a more intimate voyage through the gorgeous Canals of France aboard a traditional – but modern – barge. In addition to continental Europe, CroisiEurope also features voyages along Southeast Asia’s Mekong River, and cruises that explore the coasts of Croatia and Montenegro during the summer months, along with Cyprus and Israel coastal cruises during the winter. CroisiEurope’s all-inclusive cruises impress me with their French flair, inventive itineraries and innovative ships, including paddlewheelers that can operate on the Elbe and Loire. CroisiEurope also serves up one of the best values in river cruising. We cruised with you up the Rhine and enjoyed a wonderful experience. We are now looking at in the next couple of years cruising with you on the Douro. I am now a Senior Reviewer with Trip Advisor with nearly 90,000 readers and would welcome the opportunity of reviewing your Douro offering. My mother and I are looking at a cruise on Botticelli in December, and I am also studying ship design and navigation. Does Croisi allow passengers on the bridge of their ships? I don’t think so, but you’d need to check when you are on board. Does your cruise line accomodate foldable wheelchair. My husband can walk but at long distance would get tired and would sometime needs to be wheeled. So i carry a collapsible wheelchair that looks like a beach chair with wheels on . CroisiEurope says its ships, including the barges, as mandated by French laws, have an accessible stateroom. The company tells us it can accommodate a foldable wheelchair. One person has brought aboard with her electric scooter on Lafayette. I am interested in the Elbe…late sept early October. the paddle wheel ship sounds intriguing. we love traveling with people from other countries.are the majority of passengers on the Elbe trip European? are there many Americans? 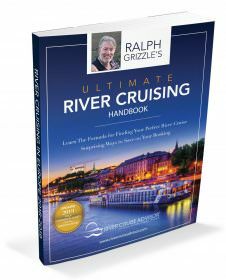 I saw that Road Scholar also offers these cruises on the paddlewheel ship. Do you know anything about them? My thoughts would be the Road Scholar cruises would be mostly Americans considering their market. Any thoughts? Also they seem to include gratuities as well. Great cruise line, family owned, in operation for many years. But not upscale, more middle of the road with good prices, excellent food and wine in my opinion and good accommodations. April/May will not be freezing. Could be cold yes, but who knows? I have a croisieurope cruise from Amsterdam schedule late April. I’m concerned about paying for ship excursions. My traveling companion does not want to sign up ahead of time. Can I pay with cash (euros) if we decided to take one? I’m worried because my credit card does not have the microchip technology being used in Europe and may not work. I will find out. Will be on Croisi Friday. You will be fine with your credit card even without the microchip. Just disembarked and mine worked well. these croisieurope cruises sound great, but my french is limited. Are the excursions provided with English and how much English is spoken on board? English is no problem on board. Everyone I encountered spoke English well.